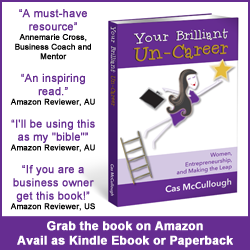 Welcome to Episode 17 of the Your Brilliant Un-Career Podcast Show! Phil McGregor stumbled upon the magic formula for effective, inexpensive Facebook advertising and he’s now got the second highest ad spend in Australia as a result. His clients are throwing money at Facebook Ads because they are getting incredible returns. Find out their secrets to success in this brilliant, game-changing episode! Welcome to Your Brilliant Un-Career, the podcast show. Like you, Facebook aficionado Phil McGregor is always looking for ways to work out how to do business better. On the subject of marketing, his search for the cheapest and most effective lead him to stop his previous business, and just concentrate on using Facebook Advertising. He works with the best and the brightest, helping business owners generate 3 to 10 times return on investment on their advertising dollars. In this talk, he’ll walk you through how to use this juggernaut to attract traffic, convert sales, and setup an automated cyber sales person. We have a golden age where advertising has become cheap! But it won’t last forever. Show that you know what you’re talking about first. Use native ads. Hone in on exactly what is the problem you can solve, hone in on people’s pain points in the first two paragraphs. Finding your hero content that resonates with your target audience is essential to a good ad strategy. 3 keys to a good hero article: You have identify the problem, relate to the problem and show they care, and offer tips to solve the problem. Give a sample of your knowledge. People will still pay you for your product or service at the end of the day. If you enjoyed the show, I’d love for you to leave a review on iTunes. It only takes a moment and your review and rating of the show can really help this show reach more listeners. Chapter 10 of Your Brilliant Un-Career talks about accelerating your growth through email marketing, collaboration and use of Facebook ads. I have done a terrific interview with Phil on this topic. You can access that for free here, along with 32 other business building podcast interviews, templates, worksheets and motivational affirmations.